I hope everyone is well and enjoying the first few weeks of spring. Since sending out our last e-newsletter I have attended a few community events in the area, including the Croydon North Streets Summit and the Big Local Broad Green launch and met some really great people over the last month. More and more people want to get involved in local projects which will help us make Broad Green and the surrounding areas a better place to live. This is really good to see. This email is also being sent to other people who live and work in the area, our “friends” who include our MP, local Councillors, local Community Police Officers and other community groups. Please email me with details of anyone else who would like to receive future BGRA emails. Please include their name, address/organisation and email address. To encourage local participation in consultations which affect the Broad Green area. We will be asking members to agree our aims and objectives at our next AGM in May, so please let me, or another working group member, know if you have any comments or suggestions about them. Since our last email I have made a few changes to the information on our website and am hoping to find the time to keep it updated more regularly. So please take a look once in a while: www.broadgreenresidentsassociation.org.uk. A lot of our members are not online, so we would like to still produce the occasional paper newsletter, but if they are going to be regular we need members to assist us write and distribute them, so please contact me if you would like to get involved. As you may know, Broad Green is one of 150 Big Local areas in the country to be awarded one million pounds of National Lottery money for the community to use to make a lasting positive difference to the area. A local Partnership has been set up which has employed some workers to assist the community spend the money. There is was a launch event on Saturday 25th February at the West Croydon Methodist Church which was well attended. The Big Local is now setting up theme groups to discuss different types of community project which could be funded through the scheme. It is important for as many local people to get involved to bring forward project ideas and decide how the money will be spent. Please be aware that although the project was initially just for people in Broad Green ward, I led a consultation to discuss extending the area, and we agreed to extend it to cover a few streets in Selhurst and West Thornton Wards. The new streets include Elmwood Road, Wellington Road, Broad Green Avenue, Campbell Road, Bensham Lane, Mayday Road, and Lodge Road. Even if you live outside the official Big Local Boundary area you can still get involved. Please use the contact details at the end of the article. The Community Builders for both wards are running ideas fairs for you to find out more about their schemes. At both events there will be lots of parent-led activities & workshops for both adults & children. The Selhurst event is from 1.30pm and 4.30pm on Saturday 25th March at the Selhurst Community Centre at 23 Dagnall Park, Selhurst. The independent Local Government Boundary Commission for England is asking people across Croydon to comment on its draft proposals for new council ward boundaries. An eight-week public consultation on the recommendations began on 14th March and will end on 8th May 2017. The consultation is open to anyone who wants to have their say on new council wards, ward boundaries and ward names across Croydon. There are proposed boundary changes for all the local wards, so it is important for everyone to have a look at the proposals and respond with their comments. Please see the link below for more information, and a link to the site where you can submit your comments. Last month the Council announced it has funding to replace 150 trees in the borough, focusing especially in the north of the borough. If there are any empty tree pits near where you live, please contact the Council to see if the trees can be replaced. Please see the link below for more information. Last August the Broad Green Residents Association ran a Community Litter Pick along the London Road. We are hoping to organise another one for April. I will send you further details once we have agreed the date and time. We have set Friday 5th May as the date for our AGM. It will take place at 8.00pm in Federation Hall, behind 17 Elmwood Road, CR0 2SN. Please keep the date free and come along and support us. I will send out more details nearer the time. After our long-standing Chair Brian Mumford stepped down at the AGM last year, committee members decided it was important for Broad Green to continue to have a Residents Association and we formed a working group to agree the best way forward, which the AGM agreed I should lead. “what more we can do as a community in partnership with our council to clean up Croydon.” I will be attending. If you have any ideas you would like me to take to the summit, or if one or two of you would also like to attend, please email me bgrachair@gmail.com as soon as possible. TFL are proposing to stop running the 289 and 455 buses round the loop around Sainsburys at Waddon Marsh. They are proposing for both routes to only stop on the Purley Way which will save a few minutes on the journey time. The negative side of this is if you have heavy shopping you will have much further to carry it to catch a bus. You should be aware Broad Green is one of 150 areas in the country to be awarded one million pounds of National Lottery money for the community to use to make a lasting positive difference to the area. A local Partnership has been set up which has employed some workers to assist the community spend the money. There is a “launch” event between 11.00am and 2.00pm at West Croydon Methodist Church (London Road next to LIDL) on Saturday 25th February. Please come along and have your say on how the money should be spent. We have set Friday 5th May as the date for our AGM. It will take place at 8.00pm in Federation Hall, Elmwood Road. Please keep the date free and come along and support us. We will send out more details nearer the time. If you have any local news or know of local events we should be promoting to BGRA members please contact me BGRAchair@gmail.com. Please also let me know if you know of anyone else who would like to receive future BGRA emails. Please provide me with their name, address and email address. Your committee announce that the next Annual General Meeting of this Association will be held on FRIDAY 6 MAY 2016 at 8.00pm prompt at Federation Hall, rear of 17 Elmwood Road, West Croydon. This is a very important meeting and your presence is requested. Below is a nomination form on which every paid up member can nominate Officers and Committee members, and propose any changes to the rules of the Association. The nomination must be seconded and you must ensure that any person you nominate will be willing to undertake the duties. All nominations must be received before the start of the AGM, and should be sent to the Chairman at 57 St. Saviours Road, West Croydon, or given to any committee member before the AGM. Cheese and wine will be served after the meeting. I propose the following change to rules and nominate the Officers and Committee members. Our first summer outing this year on Sunday 10th May (2015) is to Brighton. We will be leaving Broad Green at 9.00am and travelling to Middle Farm for a cup of tea, then we go on to Brighton where you will be free for the rest of the day. We leave Brighton at 5.00pm and return to Broad Green at approx. 6.30-7.00pm, traffic permitting. The cost of this outing is £16 for adults and £15 for children. Booking is by telephone only on 0208 240 7110. All telephone bookings must be paid for before the date of the outing at 57 St Saviours Road, Croydon CR0 2XE. Join us for a day out at the seaside! 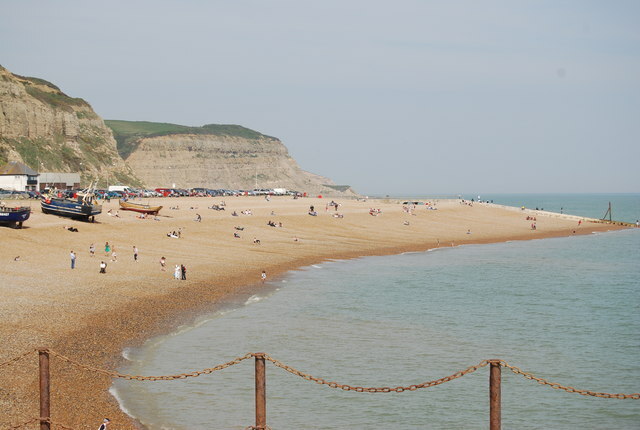 There are still some places left for our next outing, which is to Hastings on Sunday 21st September. Cost: £16 for adults and £15 for children aged 5 to 14. Returning to Broad Green around 7pm, traffic permitting (leaving Hastings at 5pm). To book, please phone Brian as soon as possible on 020 8240 7110.